Nearly 12,500 women were transported to Van Diemen's Land, mostly for petty theft. This was roughly the same number as were sent to New South Wales. Two-thirds arrived after 1840, when transportation to New South Wales ceased. There were three phases of female transportation to Van Diemen's Land: exile or open prison (1803–13), assignment (1814–42), and probation (1843–53). In each, the numbers of convict women arriving in Van Diemen's Land increased, and they were subjected to more severe penal conditions. From 1803 to 1813, about ninety convict women arrived. As the colonial population grew, so did the demand for female convict labour. Convict women were employed in domestic service, washing and on government farms, and were expected to find their own food and lodging. Punishment for those who transgressed was humiliating and public. Exile itself was considered a catalyst for reform. Economic and social opportunities allowed significantly improved circumstances for some convict women, while others struggled. During the second period, from 1814 to 1842, just over 5400 female convicts arrived. In 1840, the number increased significantly when transportation to New South Wales ceased, and all female convicts were shipped to Van Diemen's Land. In this second period, transportation of convict women was characterised by the development of clearly articulated policies with an unequivocal economic and moral focus. Convict women were assigned as domestic labour, and were encouraged to reform though a system of rewards and indulgences, such as the ticket-of-leave, which permitted the holder to work for any employer for wages and to choose her own residence. Regulations varied over time but, generally, those women transported for seven years received a ticket-of-leave after four years; those transported for fourteen years, after seven years nine months; and those transported for life, after eight years and seven months. From the 1820s, those who transgressed were confined in Female Factories established in Hobart, George Town, Launceston and later Ross. 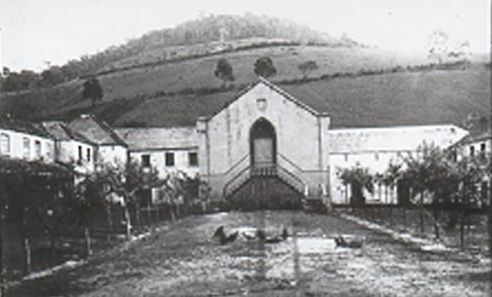 The Female Factories, also used to house convicts waiting assignment or those who became pregnant, were part of a system of female convict institutions which included the convict nursery at Dynnyrne, and hiring depots at the Brickfields in Hobart and Launceston. In 1820, the ratio of males to females was almost 10:3, and nearly 9:1 among the convict population. By 1835, the ratios were 7:3 and 7:1. In the third period, from 1843 to 1853, just over 7000 convict women arrived in Van Diemen's Land. A large proportion – 42 percent – were Irish. At this time, the probation system was introduced for male convicts, based on the 1839 Molesworth Report's recommendation of a standard period of incarceration followed by a period of labour decreased by compliant behaviour. For female convicts, there was an increased focus on classification, surveillance and isolation, and punishment and reform rather than humiliation. Newly arrived convicts were separated as much as possible from earlier arrivals. The women were subjected to standard probationary periods of incarceration in separate institutions where they were trained in domestic skills and obedience before being assigned to domestic service. There were five stages of punishment and rehabilitation, and work-related discipline was a crucial part of each. From 1843 to 1849, the female convicts were sent on arrival to the Anson, a penitentiary housed in a converted naval ship moored in the Derwent River, for a six-month training period in domestic skills. The women were then eligible to become probation passholders and could be employed privately, usually as domestic servants. The probation pass was linked to conduct and could be revoked for serious breaches; offenders were sent to a House of Correction (or Female Factory) for a period of 'punishment, employment and reformation'. A ticket-of-leave was granted at the satisfactory completion of the probation passholder stage. This was followed by the final stage, the granting of a pardon, either conditional or absolute. For many of the convict women arriving during the probation period, economic and social opportunities were limited. Demand for female labour shrivelled in the 1840s Depression. The goldfield exodus in the 1850s left many married women destitute. The scarcity of women opened up opportunities for convict women as servants and wives. Many successfully merged into colonial society, creating new families, and through good conduct and hard work forged new lives. Above all, convict women demonstrated a diversity of character, aspirations and behaviour, contradicting their stereotype as 'damned whores'. Further reading: I Brand, The convict probation system, Hobart, 1990; K Daniels, Convict women, Sydney, 1998; L Ryan, 'The governed', THS 3/1, 1990–91; P Tardif, Notorious strumpets and dangerous girls, Sydney, 1990.